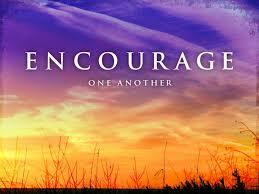 Encourage One Another-When things don’t go well..
All things work together for good.. Unexpected illness take the life of your husband your wife, your child. Last year in our little town 5 young men were involved in a horrible accident. Only one survived. They were an influence for good in their schools, their churches, their community. Not out drinking or partying, but visiting an elderly man they had befriended on that night before Thanksgiving. When we read Romans 8:28 “We are confident that God is able to orchestrate everything to work toward something good and beautiful”, It is hard to understand how anything good can come from situations like these. We can make the mistake of assuming because we do not know the answer there isn’t one. We can blame God. But the questions are still left unanswered. “Not many of us ever naturally say that in the light of the knowledge of God, that past disappointments and present heart breaks (as the world counts heart breaks) don’t matter. For the plain fact is that for most of us they do matter”. What is the something good that God provides in these difficult times? I believe that even though we may never fully understand or know the answers this side of heaven, these trails and painful experiences will draw us closer to God and provide a deeper knowledge of who He is we allow them to. The truth is, it’s only in the future that we look to the past and can really say God did this to protect me from that…to prepare me to this…or to get me connected to that. 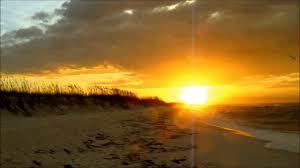 Our human limitations do not allow us to see the gold hidden the the dross of our life.